We’d love your help. 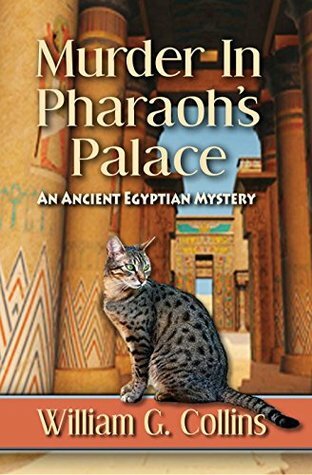 Let us know what’s wrong with this preview of Murder in Pharaoh's Palace by William G. Collins. To ask other readers questions about Murder in Pharaoh's Palace, please sign up. This book does not have well developed characters. Or much of a plot. The characters are paper thin. You know the good guy is good only because you are told he is good. The bad guys are shadowy and evil, with no depth portraying why they are evil. You just need some bad guys in the story. Things just happen, events aren't motivated by the environment or character or really anything other than things need to happen in a book. Wonderful foray into ancient Egypt. Collins has a way of making you believe he lived during those times. When reading his books you feel the dust on the streets, smell the distinctive odors of the times, taste the beer and bread and honey as if they were right there in front of you. His characters and story are compelling to say the least, and I love the cat! While the book was simply, woodenly written, the story itself was entertaining. I would read more from this author to watch his growing skill.